The Republic of Serbia has two equal national internet domains: .RS and .СРБ. 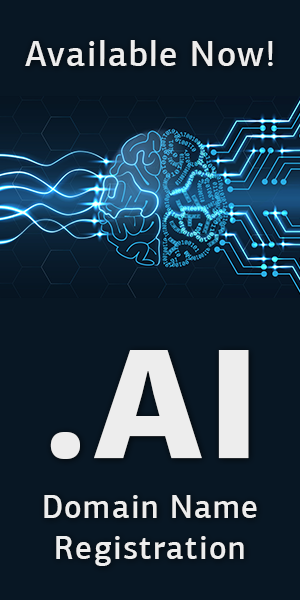 The first is a standard country code Top-Level Domain (ccTLD), while the second is the Cyrillic internationalized domain name (IDN). Your domain name must be technically allowed. An .RS domain can have any letter in the English alphabet (a to z) and any digit (0 to 9). No spaces or allowed, nor any punctuation marks other than the hyphen (-). A name cannot start or end with a hyphen, nor can it have two consecutive hyphens in the third or fourth position. The name must have at least two characters, and the maximum number of characters is 63. .СРБ domains can have any of the 30 letters of the Serbian Cyrillic alphabet (a to š), and can contain numbers (0 to 9) and hyphens (-). It also must have at least two characters, but the maximum number is 30, because the ASCII Compatible Encoding algorithm used to convert to the Latin alphabet might exceed the 63-character limit. As a practical matter, a .СРБ domain shouldn’t have more than 20 characters. The name you want can be yours only if it’s available for registration. This can be checked by querying WHOIS, a service which allows you to discover if the desired domain name has been taken. 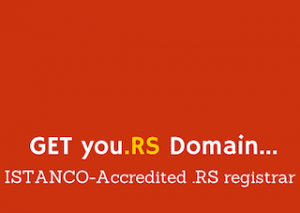 If it has, then the domain’s owner or registrar can be found at http://who.in.rs/. .IN.RS and .ОД.СРБ are for domestic or foreign individuals. There are two other domain spaces for .RS and .СРБ, but they are normally not available to the public. These are .AC.RS and .АК.СРБ for the academic and scientific research network for the Republic of Serbia, while .GOV.RS and .УПР.СРБ are assigned to government authorities in the Republic. The final step is to register your domain. It is possible to perform the whole process of selection, registration and payment on www.istanco.rs. The whole process can be completed in a few minutes.